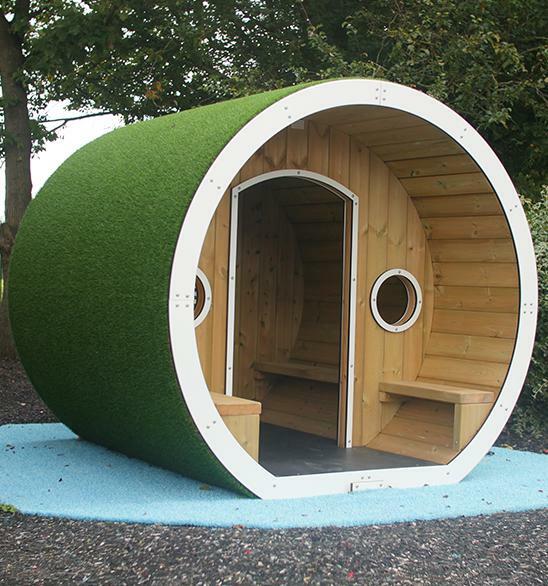 The Hobbit Play House has an external footprint of 1.8m x 1.8m. The Hobbit House has internal and external timber bench seats and a large rear polycarbonate window with two small porthole front windows. The whole house is covered in artificial grass to help it blend into your bright and colourful play space. *Optional door.